Our favourite vegan fries joint, Lord of the Fries, has become the first Australian restaurant to bring the celebrity backed and globally celebrated, Beyond Meat burger to Aussie shores. 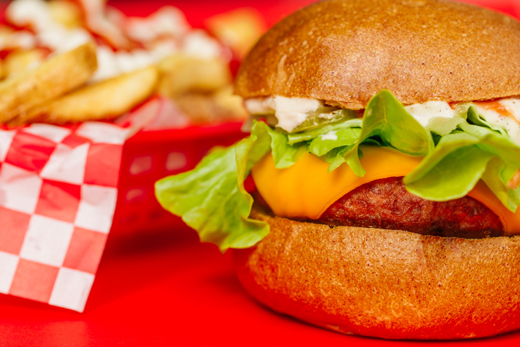 Dubbed the ‘future of protein’, Beyond Meat has gained a cult like following in the US, with the 100% vegan burger said to look, cook and even ‘bleed’ like a regular burger. We were blown away when we took the taste test for ourselves – the premium patty comes grilled and topped with vegan cheese, lettuce, sliced onion, tangy pickle and smothered in its own Belgian Mayo, mustard and ketchup. 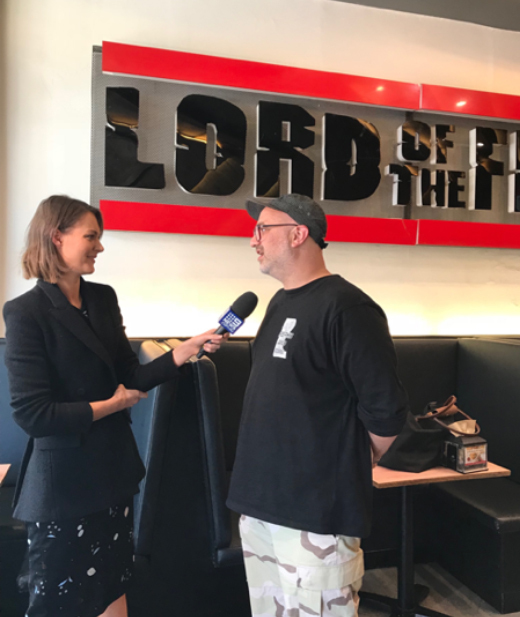 Attracting media attention from all key metros, Channel 9 News also popped in on LOTF HQ at their Chapel St store to chat to LOTF co-founder, Mark Koronczyk, about the plant-based burger, the rising trend of plant-based diets and why LOTF has chosen to bring Beyond Meat to LOTF customers. You can watch the full interview on Channel 9’s site here.